Montague, Henry J. | The Lambs, Inc. The Spirit of The Lambs; A portrait of Henry Montague made after his death. English actor Henry James Montague (1846-1878) was one of the founders of The Lambs in New York in 1874. 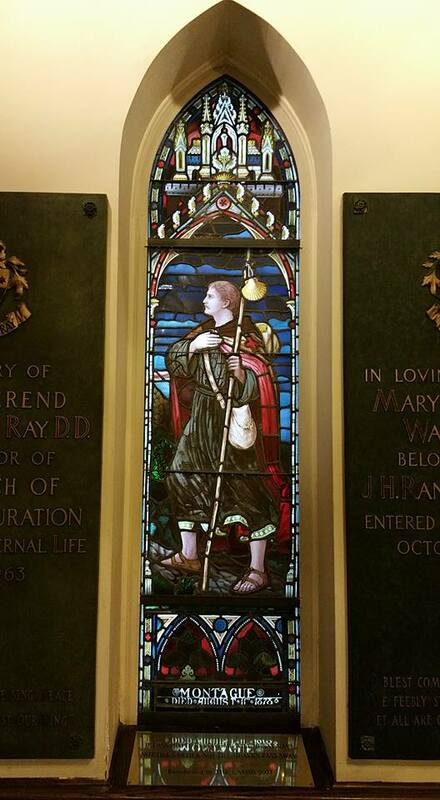 He served as the club’s first Shepherd, but didn’t live long enough to see its great success. He is an Immortal Lamb and The Lambs’ Montague Society is named in his honor. Montague was born Henry James Mann in 1846 in Staffordshire, England. He took the stage name Montague as an amateur actor in London. 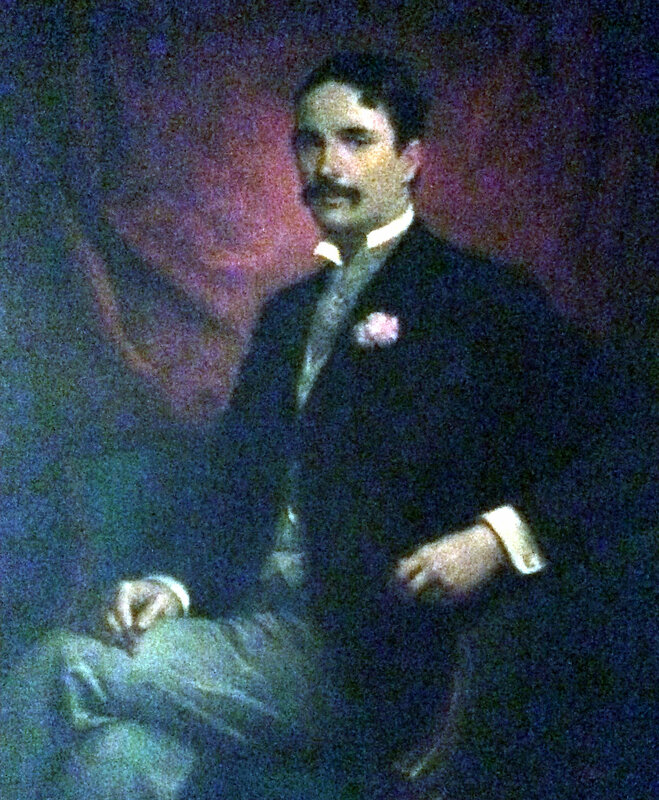 He appeared at Astley’s Theatre in 1863 in The Trial of Elfie Deans. In 1864 he appeared in The Adventures of a Love Letter, an adaptation of M. Sardou’s Pattes de Mouche. Montague was Faust in the burlesque Faust and Marguerite. From 1865 to 1868 Montague played at the Olympic, the Prince of Wales Theatre, and the Princess. In partnership with David James and Thomas Thorne, he opened the Vaudeville Theatre in 1870. In 1871, he left the partnership and became sole lessee of the Globe, opening October 7, 1871, with Henry James Byron’s Partners for Life, in which he played Tom Gilroy, a young barrister. For the next three years he starred in many original roles in London. In 1874 he played Alfred Trimble in Committed for Trial. This was the last original character he played in England. In the spring of 1869, thirty years after the death of Charles Lamb, a men’s theatrical and dining club was formed in London and named in honor of Charles and Mary Lamb. Montague was a member and its third Shepherd. Lester Wallack, a future Lamb and Shepherd, brought Montague to the United States in 1874. Wallack was a theater owner and manager. 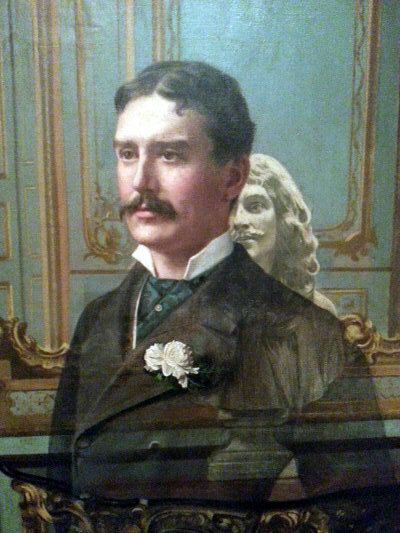 Montague played the role of Captain Molineux in the premiere of The Shaughraun in 1874 and later appeared in Caste, Diplomacy, and The Overland Route. In late December 1874 a companion club of The Lambs was formed in New York City by Montague and other actors. That first meeting was at the original Delmonico’s Blue Room on 14th Street in Manhattan, and Montague was named the first Shepherd. In 1876 he returned briefly to England before going back to New York and a road company. Montague went to the West Coast for the first time in 1878 to play the role of Lord Arthur Chilton in False Shame. On August 13, 1878, he died in San Francisco of a pulmonary hemorrhage, age 31 or 32. The Lambs arranged for his remains to be returned to New York. Montague’s services were held at the Church of the Transfiguration, the “Little Church Around The Corner,” where he often worshiped. He was buried in Green-Wood Cemetery on August 21, 1878. The Lambs dedicated a stain-glass window (pictured right) in his honor in the Church in the North Aisle. Montague is shown in pilgrim’s robes with the crimson cross of the Crusader on one shoulder and carrying a pilgrim staff with the scallop shell of St. James, a pouch, and a water skin.